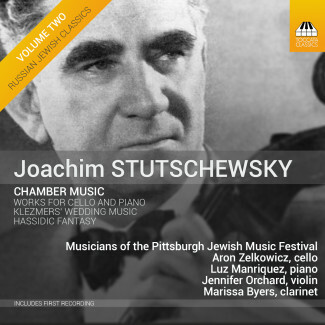 LISTEN to our recordings of "Russian Jewish Classics"
The Pittsburgh Jewish Music Festival has released its first four commercial albums on an annual basis since 2015. These recordings are the first in a projected series devoted to members and composers affiliated with the St. Petersburg Society for Jewish Folk Music: an organization active in early twentieth-century Russia that published chamber music based on authentic Jewish folk sources. The Pittsburgh Jewish Music Festival has performed 150 pieces of Jewish-themed classical music between 2004-2018. 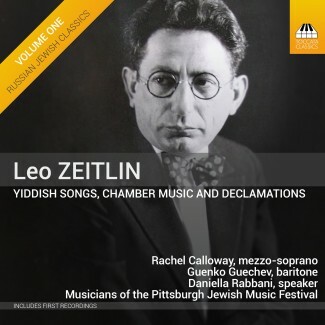 These recordings serve to continue the mission of the Festival by internationally distributing some of the finest examples of this repertoire and shedding new light upon these masters of Jewish art-music. “Russian Jewish Classics” series is the first series of its kind devoted to this largely neglected repertoire. Each album allows the listener to explore a single composer in depth and discover pieces never or rarely recorded before. The selected chamber works are scored for a variety of instrumental and vocal combinations, performed by the same musicians as the Festival’s live concerts in Pittsburgh and re-recorded under studio conditions. Each CD comes with an extensive booklet that includes program notes and a detailed composer’s biography. Listen to a full interview with PJMF Director Aron Zelkowicz discussing "Russian Jewish Classics" with Jim Cunningham for WQED-fm's "Voice of the Arts" podcast. Stay up to date with the Pittsburgh Jewish Music Festival! Click here to have us add you to our Contacts. Praised as ‘one of the highest-quality concert series in town’ by The Pittsburgh Tribune-Review, The Pittsburgh Jewish Music Festival was founded in 2004 by the cellist Aron Zelkowicz. In its eleven seasons, the Festival has programmed over 130 pieces of classical chamber and orchestral music inspired by Jewish traditions.